It’s no novelty what a rival to TV networks YouTube has turned into these past few years, but with the aid of media giants from the likes of Simon Cowell and Ridley Scott, Google has definitely established its video site as an adequate alternative to traditional television. 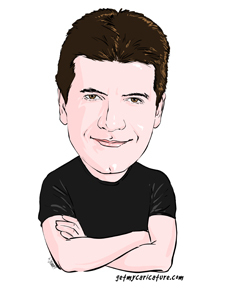 Adore him or detest him, it’s no denying what a hit-maker Simon Cowell actually is. He’s been able to captivate millions of viewers for TV networks, but now he’s deviating his attention to YouTube. Towards the end of this week he’s launching a brand new global talent contest on the viral service entitled “ The You Generation”. The new venture will hold 26 competitions for “potential” YouTube stars over the next year. Cowell is not the only personage to manipulate his power on the YouTube platform. Just last week Ridley Scott, the English film director and producer best known for his commercial breakthrough with Alien, announced a partnership with top YouTube channel, Machinima, to produce 12 original sci-fi short films. Based on Scott’s previous success, we can easily see this turning into a modern version of “The Twilight Zone” that implements YouTube as its means of distribution. What’s also noteworthy regarding the YouTube realm is a new web series unveiled by Reddit called “Explain Like I’m Five”. Reflecting the meme’s style, this endeavor covers a range of topics from Syria, Existententialism as well as The Stock Market by literally explaining these topics to 5-year-olds. Reddit’s enormous fan base should easily ensure ponderous view counts for the videos. The harmony between Reddit and YouTube is evident so we’d expect similar projects to b evolving quite soon.